Grammy-winning engineer/producer/studio-owner Robert Margouleff has joined the Walters-Storyk Design Group as Project Engineer. Margouleff brings 40+ years of hands on experience to his new role with the global architectural acoustics/ technology integration design firm. “Robert Margouleff has literally done it all,” states WSDG Principal/Director of International Relations Sergio Molho. “He has accrued an incalculable wealth of real-world studio knowledge. His design, construction and technology expertise, coupled with his deep insights into project studio requirements and techniques, will be a significant new asset for our clients,” Molho said. Beyond his long-time collaboration with Stevie Wonder, capped by a Best Engineered Album Grammy for Innervisions (shared with Malcolm Cecil,) Margouleff’s producer/ engineer credits include work with Devo, Billy Preston, Depeche Mode, Jeff Beck, The Doobie Brothers, Quincy Jones, and many other stellar artists. 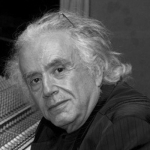 After building his Hollywood-based Mi Casa Multimedia Studios, Margouleff became a leader in surround audio for home theater, and provided 5.1 and 7.1 mixing and mastering for DVD and Blu-ray releases and restorations for such films as: The Sound Of Music, six James Bond features, Rush Hour and the complete Lord Of The Rings cycle. Margouleff will be involved in all aspects of WSDG’s west coast projects. He will consult with new clients on details ranging from site selection to design, construction, technology, acoustic treatments and systems integration.